The Newsletter is free to members and published quarterly. 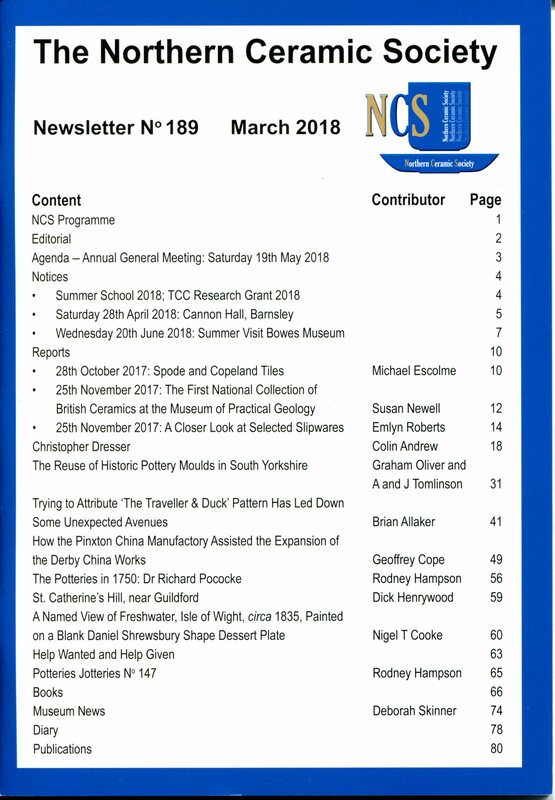 Every edition includes articles about recent research, museum news, book reviews as well as the forthcoming programme and reports of meetings. There is also a ‘help wanted and given’ page which poses some interesting questions! Members are welcome to write articles for the publication and the Newsletter Editors are very encouraging and helpful to those who are going in to print for the first time. 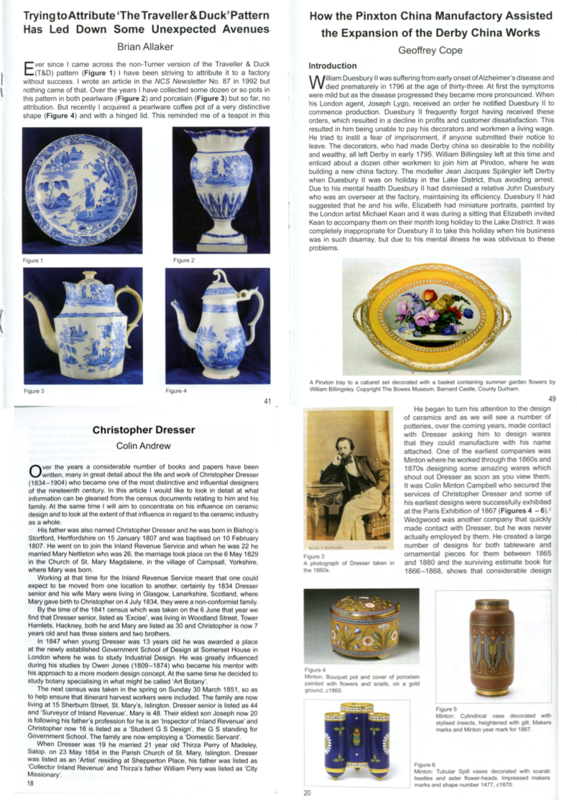 We have a number of past publications of Newsletters. They contain important snippets of research as well as more extensive work and are well worth exploring. By clicking on a newsletter in the list below you can see its Contents and, if it is available to purchase, you will be able to order it online. Out-of-stock Newsletters are available for download if you become a member of the NCS digital archive (via the Publications Archive link in the top menu above). Full members of NCS pay only £1 to join.